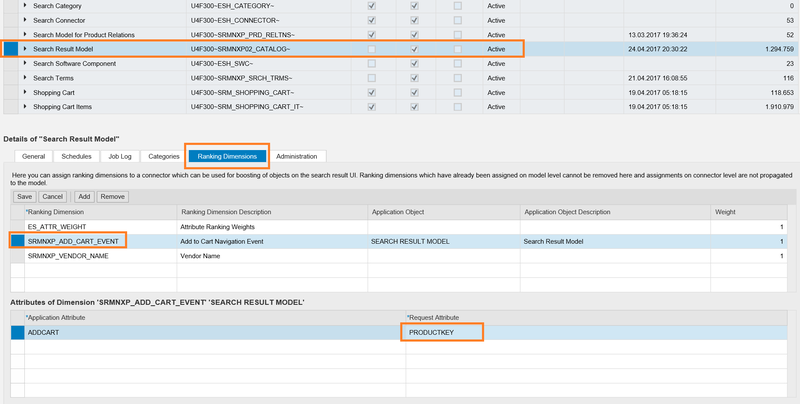 SRM UI5 boosting and ranking functionality is released with SRM 7.0 EhP4 on the HANA database. Available with Implementation note 2383392(SRMNXP01 150). After collecting the approval or rejection from end users, administrator has to first set the user settings by running the report ESH_ENG_PS_MAIN_SWITCH as shown in Figure 1. Label 4 – Boosting and Ranking framework is disabled for a specific user after the user is added to the user list in label 5 area. You can configure the boosting of standard request attributes. For example, you are searching with the term “laptop” to find all laptops from available manufacturers. If you prefer laptops from Apple manufacturer to be displayed on the top of the result list, you can create a ranking factor ‘Z_MANUFACTURER_NAME’ and configure it so that manufacturer Apple weighs more heavily in the calculation of ranking scores. This way, the ranking factor influences the ranking scores and certain group of search results are boosted to the top. 1.1 Run the report ESH_PS_ESPROV_CREATE_DIM, choosing Owing ES-software Component – SRMNXP01. Enter the name of the ranking factor (Ranking Dimension ID), short description, and attributes. These are mandatory inputs, which defines a ranking factor. In Figure 2, ranking factor Z_MANUFACTURER_NAME is created. 1.2 Execute the report to finish the creation. 2.1 Go to transaction ESH_COCKPIT to open the connector administration cockpit in SRM application server. 2.2 Select the connector Search Result Model SRMNXP02_CATALOG. 2.3 On the tab Ranking Dimension, click on Add button and Select the customer created ranking factor through F4 search help. 2.4 Assign the standard Request Attribute in the search model to the ranking factor through F4 search help. In our example, the corresponding request attribute MANUFACTNAME is mapped to the ranking factor Z_MANUFACTURER_NAME in Figure 4. 2.5 Click Save to finish the assignment. 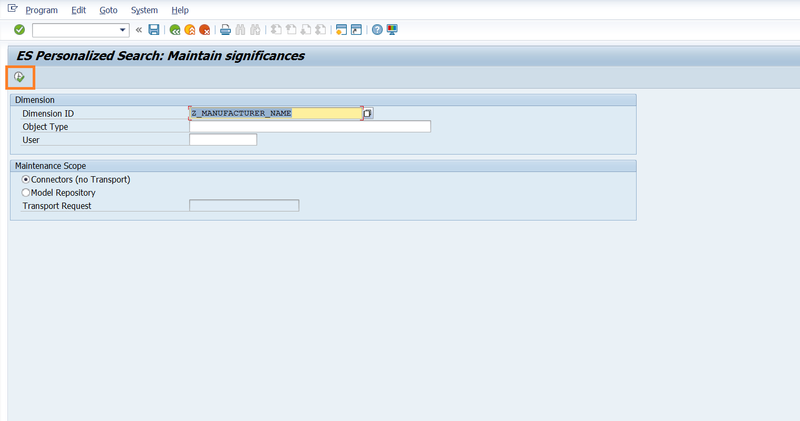 3.1 Run the report ESH_PS_ESPROV_MAINT_SIG to create a boost with significance manually. The boost entry is required to boost a specific manufacturer above others. 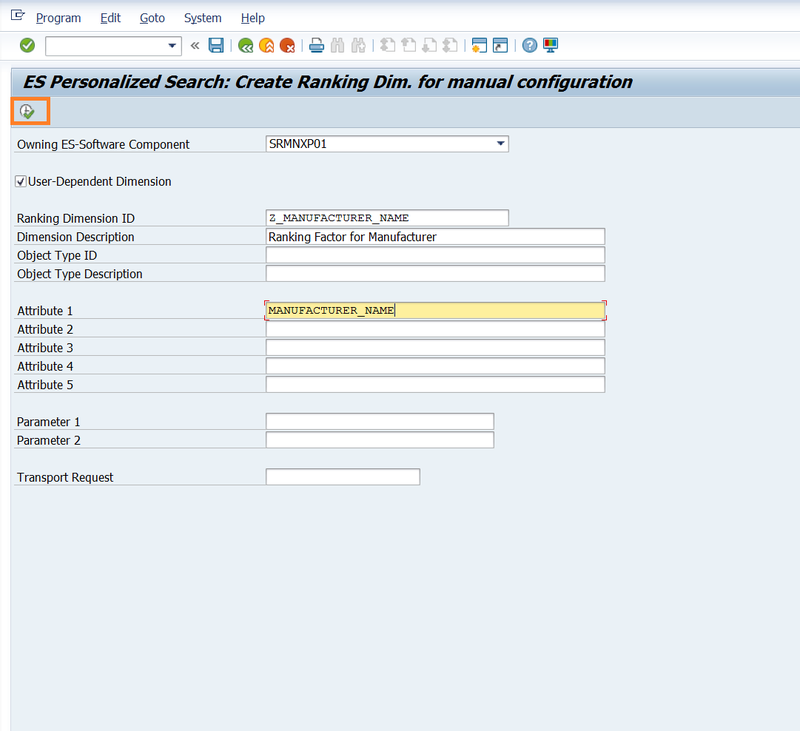 3.2 Choose the Dimension ID Z_MANUFACTURER_NAME through F4 search help in Figure 5. The User field is optional for a user-dependent ranking factor. For a user-independent ranking factor, leave this field empty. In our example, ranking factor Z_MANUFACTURER_NAME is created as user-dependent. Therefore, the created boost entry will take effect only for the user whoever is entered in this field. On the other hand, the created boost entry will apply to all users if this field is left empty. 3.4 In the next screen, click + to create a new boost entry. Enter the value ‘Apple’. This value should be valid in the product items, that is, this value must be found in the report ESH_TEST_SEARCH for example. Choose a significant weight between 0 and 1. This is how you can decide the priority among different manufacturers. Click on Execute button to complete the boost entry. 3.5 Click Save to save the settings in the system. Ensure that the end user has been activated for the Boosting and Ranking functionality in the report ESH_ENG_PS_MAIN_SWITCH. Navigate to the SRM UI Add-On portal and refresh it. Use the same search term ‘laptop’. The order of the search result list is now according to the relevance ranking factor. The product item with manufacturer name ‘Apple’ has been boosted to the top in Figure 7. To see the actual ranking scores, perform the same search in the report ESH_TEST_SEARCH. Whenever user clicks ‘Add to Cart’ on a product item and add it to the temparory cart, system catches this event, transfers this click to a boost with a significance weight, and stores the boost in the system automatically. After refreshing the UI, the newly clicked product item will be boosted in the search result list. Product items that are clicked often have higher ranking scores than the ones that are clicked less often. Go to transaction ESH_COCKPIT to open the connector administration cockpit in SRM application server. Select the connector Name Search Result Model for SRMNXP02_CATALOG. This connector must be activated. On the tab Ranking Dimension, click Add button and Select the standard ranking factor SRMNXP_ADD_CART_EVENT through F4 search help. Assign the key Request attribute PRODUCTKEY of the search model to the ranking factor through F4 search help. Now user can test the ranking results based on the click counter. 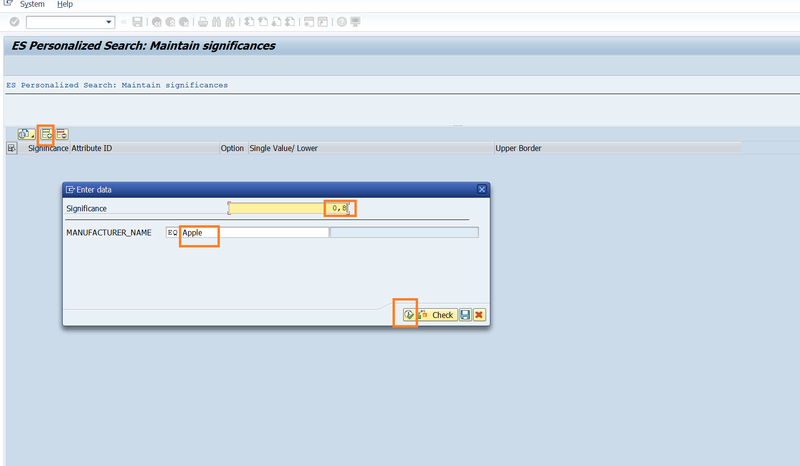 Double check the setting of the user in the personalized search main switch by the report ESH_ENG_PS_MAIN_SWITCH. The user must be activated as a prerequisite. 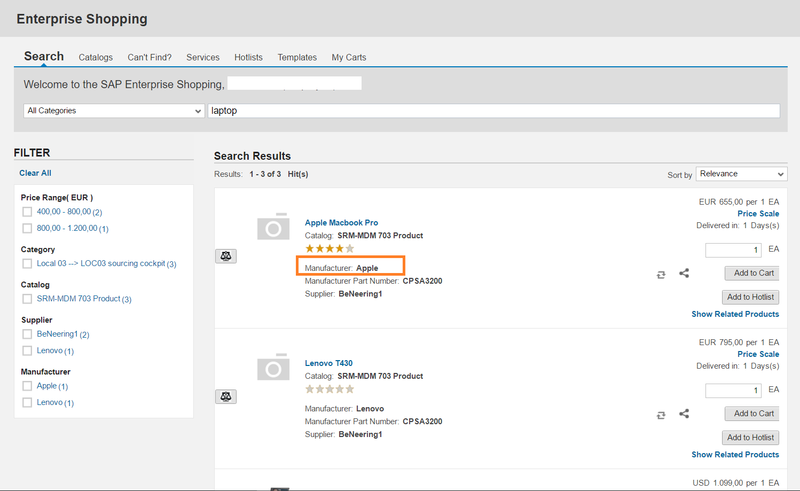 In SRM UI Add-on search portal, go back to the search result list and add one product item to the temporary cart by clicking on ‘Add to Cart’ button. After refreshing the portal and doing the same search, the order of result items should be different – the clicked item should have been boosted. To see the actual ranking scores, perform the same search in the report ESH_TEST_SEARCH. A Business Add-In (BAdI) is provided to filter a search item for the ranking functionality, which means without translating the click action for this item into a boost in the system. Customer has flexibility to filter certain items for the ranking according to the organization requirements by implementing this BAdI. Interface Method FILTER_ITEM provides access to the tempory cart shopping cart item. could you tell me what was the SAP NetWeaver release used for screen shots of the blog? We tried on a SAP NetWeaver 7.50 (SPS 08), but it is not possible to create a custom ranking factor (report ESH_PS_ESPROV_CREATE_DIM) for an enhanced Sowftware Component and for user-independent dimensions. Indeed, when executing the report to finish the creation, nothing happens and in the Modeler for Search and Analytics (ESH_COCKPIT), the specific ranking dimension does not exist. 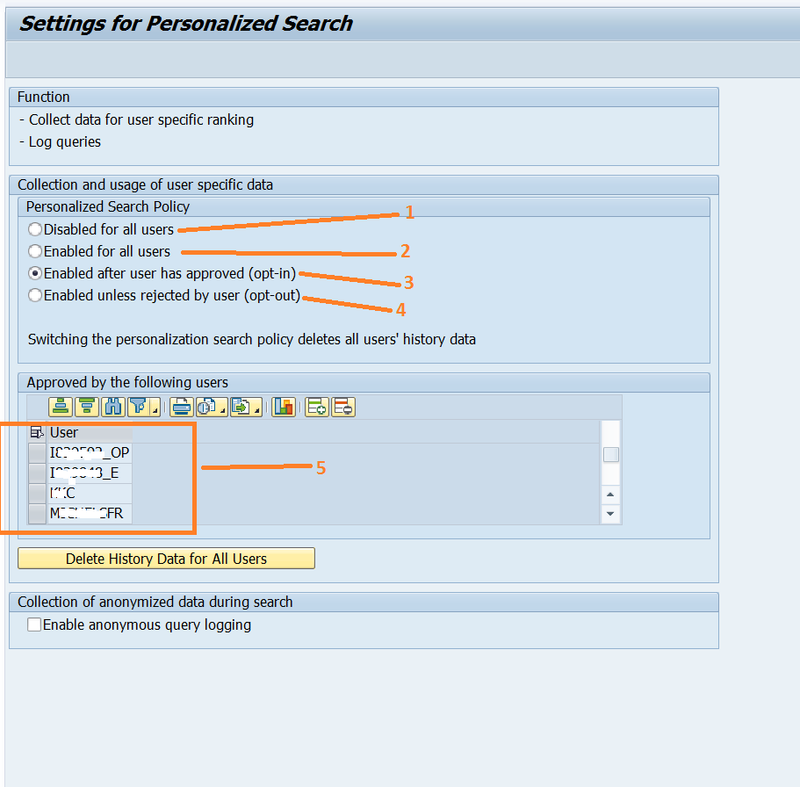 We were told by SAP Support from Entreprise Search component that this feature is neither documented nor operational. For this, SAP NetWeaver 7.52 has to be used. SAP HANA database is a requirement for the Boosting and Ranking Framework (we have a HANA Database. Do you have any informations regarding this point. we opened and OSS message for this issue. We still have no answer yet. other question regarding ranking configuration based on the click counter. Where in the system this information is stored? I guess it is not in staging table, so this means connector for search result model does not need to be updated: am i correct? In SRM UI Add-On, you can give an average rating to cross-catalog search material (stored in field AVERAGE_RATING from table /SRMNXP/CAT_ITM). Is it possible to manage this field as a ranking factor based on event in order to not have to update connector each time a user gives an average rating to material? Consequently, if a custom ranking dimension ID is created, personalized search on event will not be possible.